Now tell your friends, family members and near ones that they matter by gifting them on their birthdays uniquely crafted birthday cards using birthday card maker software so as to make this special occasion a memorable one. 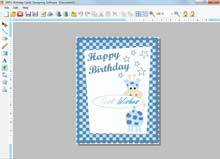 Birthday card maker software is featured with a creative platform integrated with advance image designing tools suitably designed to give your imagination a wonderful shape. Using the software, you can choose pictures from varied options to add to the card, append a meaningful text expressing heartfelt birthday wishes etc thus giving the birthday card the magnificent look that your friends and dear ones will admire and treasure forever. Now no need to seek for readymade birthday cards you like from external sources to gift your dear ones! Just get the excellent birthday card maker software once, use your creative vision to craft customized birthday cards of your own style on your PC. Software presents wide variety of image designing tools like pencil, text, line, picture, ellipse, triangle etc to create eye catching birthday cards. Photo, text, personal message adding features. Create fresh birthday card or edit existing as per desire. Multiple birthday cards can be created at once. Birthday cards of diverse shapes like Rectangle, Rounded Rectangle, Ellipse etc. Easily modifiable font, color and image features. Advance print settings to create attractive birthday cards to gift to. Software is easy to use and can be operated by any user without any prior technical training. Operating System: Windows 7, Windows Vista, Windows XP, Windows Server 2008, Windows Server 2003 etc. 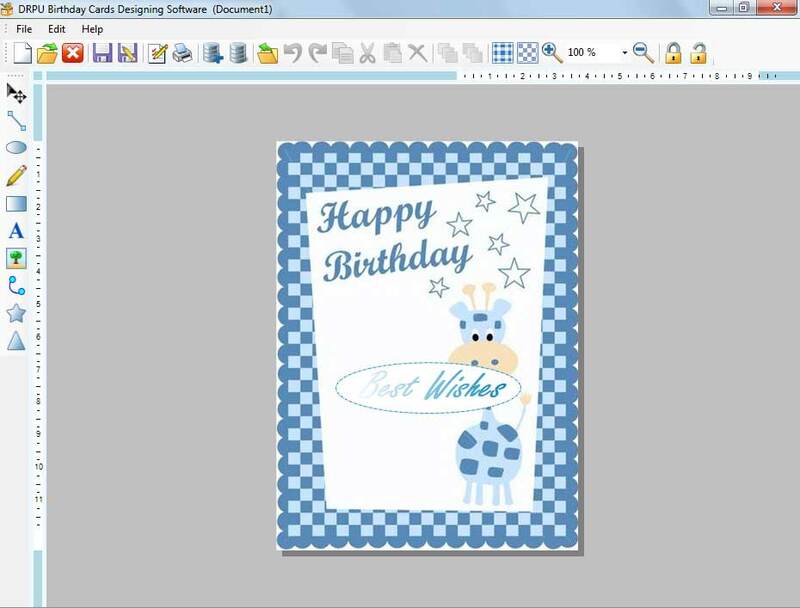 Free birthday card maker software is available for download at barcodelabelmaker.org so that users can easily understand the software functionalities. On satisfaction after using the software, users can get the licensed version of birthday card maker software at an affordable price.